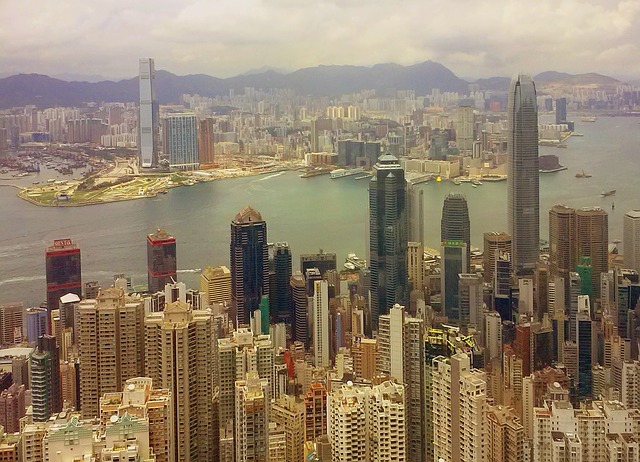 Hong Kong is one of the world’s leading business and financial hubs, with a population of 7.2 million and a gross domestic product in 2013 of US$274bn. A special administrative region (SAR) of China, the city generated one twenty-fifth of the amount of money as the mainland in 2013. It achieved this despite having only one two-hundredth of the population. This outsized financial performance has made Hong Kong extremely popular with entrepreneurs and global businesses, who often set up Hong Kong companies of their own. In order to perpetuate this success, Hong Kong has needed to have in place a great deal of infrastructure, not least a well-functioning mass transit system. The city’s subway is run by the Mass Transit Railway Corporation (MTR), whose operations do an excellent job of keeping the city running efficiently and on time. The network comprises 210 kilometres of rail over 8 lines that run through 85 stations, and the MTR maintains a record of 99.9% on-time arrivals. For busy entrepreneurs and businesspeople, having a reliable way to get around the city is very important. Not only does the MTR perform well operationally, but it is also well-run from a financial perspective: the relatively low fares of less than US$3 paid by the system’s 5 million daily passengers cover the MTR’s operating costs by a ratio of 1.75:1. This compares positively to London, whose pioneering Underground system consistently loses money due to high staff costs and the burden of maintaining its ageing infrastructure, despite notoriously expensive fares. Similarly, New York – the most westerly of the three major financial centres – pays US$2.5bn each year to service its subway system’s debt, damaging its transit authority’s finances. Interestingly, the MTR has another line of business even more profitable than its transit services: property development. Thanks to its close relationship with Hong Kong’s administration, the government often gifts land to the MTR for the development of infrastructure and stations. On this land the MTR also builds office buildings and shopping malls that benefit from the improved accessibility brought by the railway infrastructure. According to a recent piece in CCN Money, Hong Kong’s railway company owns two of the city’s main skyscrapers, 13 shopping malls and 50 major properties in total. This synergistic relationship between infrastructure and commercial space has been lucrative – the MTR made a net profit of more than US$2bn last year at a net profit margin approximating 40%. Its profits grew by 20% last year, reflecting in part a 14% rent increase at the malls controlled by the corporation. As with many other successful businesses in Hong Kong, the MTR is now looking abroad for growth. It has agreed to bring its model to public transport systems. One of its biggest projects will be to run London’s Crossrail service for the first 8-10 years of its operation. With other international operations in Sweden, Australia and elsewhere, it will be interesting to see whether the Mass Transit Railway Corporation’s international expansion can bring prosperity to an industry that has long suffered from financial difficulties.